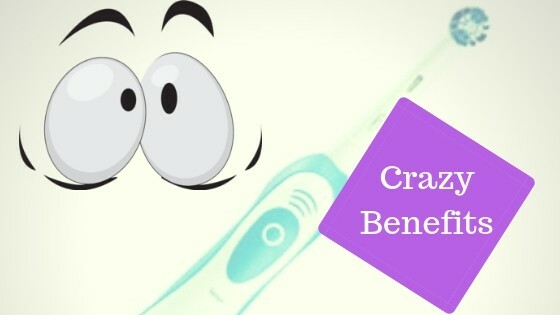 Today you will learn about the Electric Toothbrush Benefits And Side Effects because whether you like it or not, electric is the future and if you don’t learn about it, you will be left behind. I believe I am the right person to talk about electric toothbrushes because not only do I own an electric toothbrush, I have ordered a more advanced version which will be arriving in the next few days: The Oral B 5000. After doing research of my own, I decided to bite the bullet and invest in electric brushes. You can also check out the full range of brushes here: The Best Electric Toothbrushes (2019). 1. It Does All The Work For You! That’s right folks, when you go electric the effort you have to put into cleaning your teeth is reduced 10 fold. This is because electric toothbrushes have rotating oscillating bristles that scrape off the plaque and food debris without you having to move your hand up and down tirelessly like you would with a manual toothbrush. Manual toothbrush requires you to have a proper technique that usually includes positioning it at 45 degrees away from the gums and using gentle circular motion but let’s be honest, all this goes out the window when we are rushing around in the morning to get ready for work or school. Electric brushes only require you to simply place the bristles on each tooth for 2 seconds and then moving onto the next without worrying about how/where to position the brush. When I was using a manual toothbrush not so long ago, I had no idea how long I was brushing my teeth for, Some days it felt like a minute but other days I would go on for over 2 minutes. And I’m sure many people around the world feel the same way when using a manual toothbrush. Research suggests that 2 minutes is optimal for a good thorough cleaning but going slightly over will not do any harm. Brushing for less than 2 minutes is more of a problem and the majority of adults don’t pay too much attention to their oral health and rarely get the adequate amount of cleaning. But now with the introduction of Electric toothbrushes this is no longer a problem because a 2 minute timer comes built in to them. You will never ever miss the 2-minute rule again if you were to go electric. Researching about electric tooth brushing, I came across some journals that stated that these do a much better job of removing plaque and tartar from teeth than manual brushes. According to a study done by Sheffield university, rotating brushes remove 11% more plaque than manual toothbrushes, and also reduce other gum related problems such as gingivitis. It’s not really surprising either because the oral B range have bristles that rotate up to 6000 times per minute causing a polishing and smoothing effect. 4. No More Tooth Abrasion! Tooth wear is the term used to describe the progressive loss of a tooth’s surface due to actions other than those which cause tooth decay or dental trauma. After doing some research the most common issue found was improper brushing. People commonly use hard bristled toothbrushes that can traumatise and push back the gums around the teeth. This combined with the vertical rubbing of the teeth rather than the circular motion will not be beneficial for you. Instead get a soft bristled toothbrush or even better, an electric toothbrush and point it upwards and brush with a circular motion. This will help stretch the gums up into the teeth rather than away from them. YOUR TOOTHBRUSH WOULD LIKE TO HAVE A WORD WITH YOU! 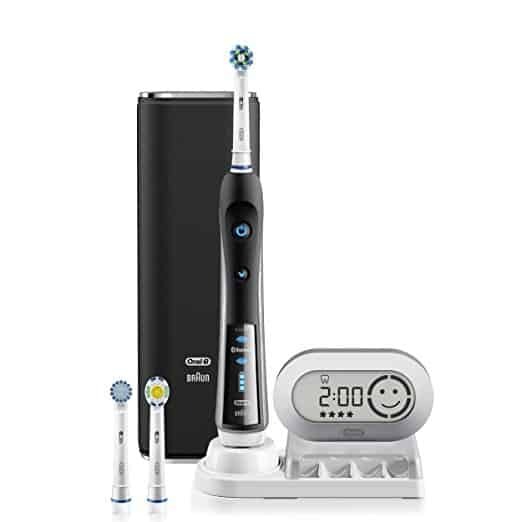 The higher range models especially with the Oral B brand come with some funky Bluetooth technology and apps that you can use to track your level of cleanliness. You can track your progress over time using graphs and charts which will motivate you and push you on. Some even come with sensors that detect when you are applying too much pressure and will alert you. Some brushes are so smart that they will actually slow down or even stop if your technique isn’t right. 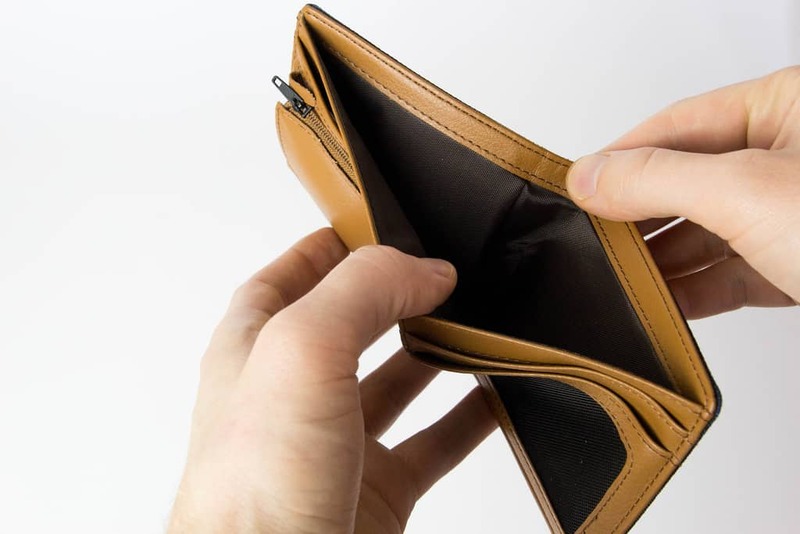 The only side effect you will notice from buying an electric toothbrush is your wallet feeling lighter than before, lol. You don’t have to be Einstein to figure this one out. You can pick up a manual toothbrush for a couple of dollars from a big retailer. That in itself should tell you something. Electric toothbrushes are expensive but there are a wide variety of choice depending on your needs. 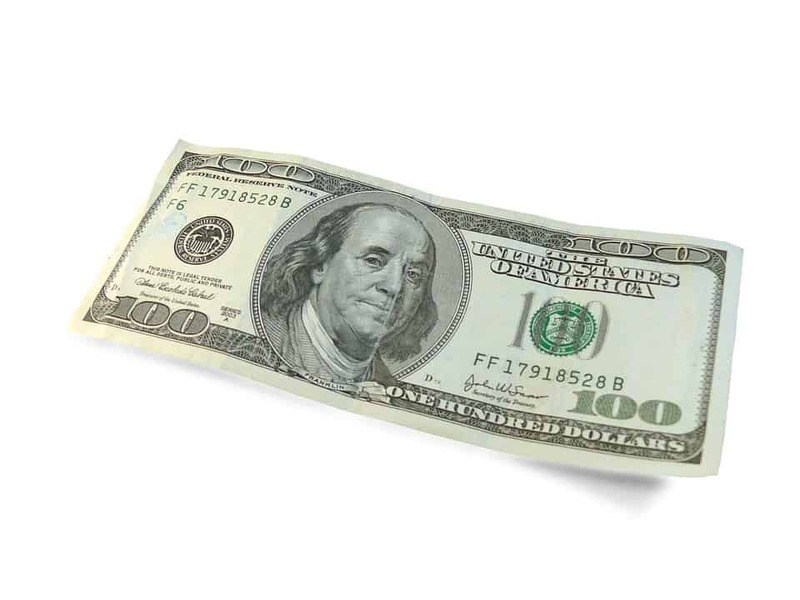 They tend to range from $30 – $300. 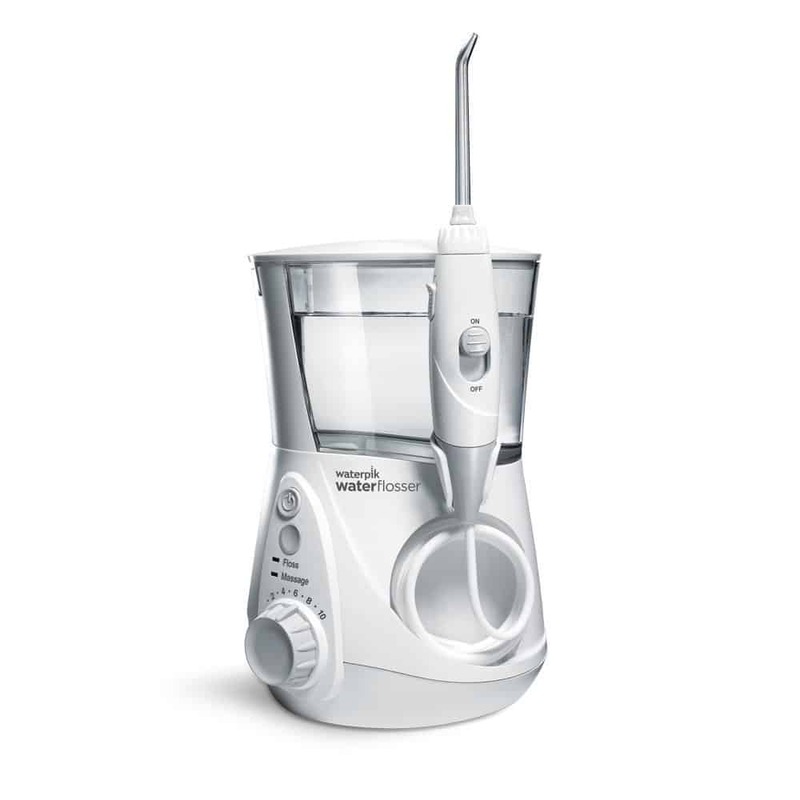 I just brought an Oral B 5000 for £91.00 ($118.00) because it’s a mid range model that has all the cool features but isn’t as expensive as some top range models. Another factor was that Amazon had reduced the price by a whopping 66% which made it irresistible to ignore. My first electric toothbrush was entry level costing $50 but now I’m ready to invest in something more powerful which has a lot more features. The only negative news I have heard about electric toothbrushes is from the Daily mail which gave an account of a woman who had tooth abrasion and receding gums from using an electric toothbrush apparently. To me this isn’t the fault of electric brushes but rather the incompetency of the woman using it. As mentioned before electric toothbrushes do all the work for you, why the hell would you start scrubbing up and down and using excessive force, makes no sense. And I’m not the only one, if you go down to the comments section of the Daily Mail post, you will see most people on there love electric toothbrushes and state that they have encountered fewer teeth and gum problems since switching over. Yes there might be a few individuals who can’t handle the power of electric but thankfully there are a wide range of toothbrushes with different power levels for every individual. You have bleeding gum issues in which case you need to invest in a Bass Toothbrush. The Bass Method Of Toothbrushing is a technique used to disrupt the pathogenic bacteria below the gum lines where normal brushes cannot effectively reach. A bass toothbrush has much fewer bristles than your average brush which helps it reach those awkward crevices in and around the teeth including the gum line. Micro vibrations is the technique used to help disrupt these bacteria. If you suffer from gum disease and have regular occurrence of bleeding gums then using a bass toothbrush in addition to an electric brush will drastically help you reinvigorate your gums and make them healthy again. When you use a bass toothbrush it is critical you also use an antibacterial solution rather than a toothpaste, why? because the majority of the disease causing bacteria live under the gum lines, so getting to these spots and eliminating the problem is the only way to get better gums. The Bass Toothbrush differs from other manual brushes because it has fewer bristles and they are more spaced out on the brush head. Most toothbrushes have too many bristles which makes it difficult to wiggle between the teeth and down to the gum line. 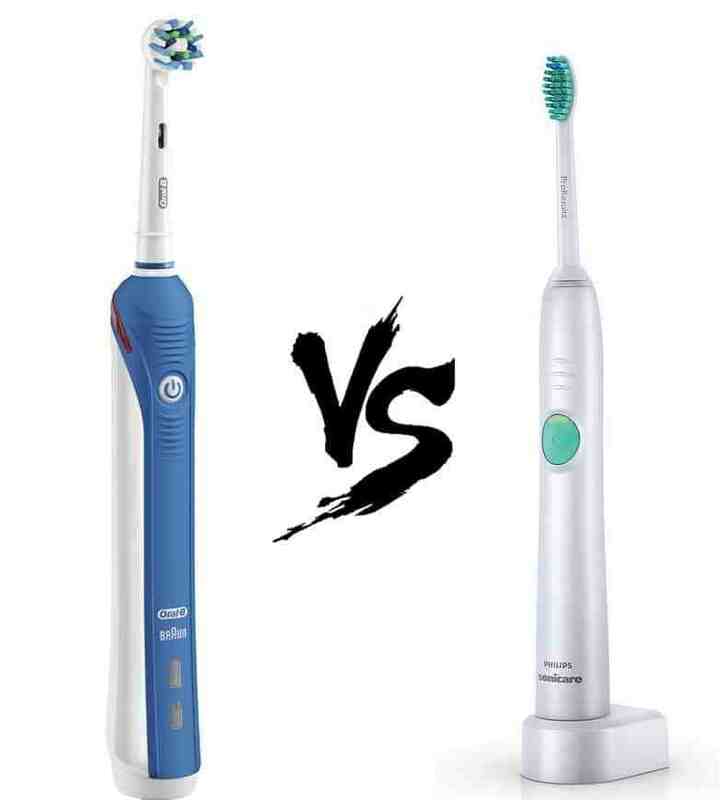 The two big players when it comes to Electric Toothbrushes are Oral B And Sonicare and the biggest difference is the technology they use to carry out the cleaning. Oral-B toothbrushes use rotation-oscillation action, which is known as Rotary Technology. In rotary technology, the brush head spin in a motion and make 16 degree movements. Philips Sonicare uses the vibration technology they call the Sonic Technology. In sonic technology, the brush head makes side-by-side movements for an effective plaque removal. It produces up to 31,000 strokes per minute, which gives maximum possible brushing accuracy. Oral-B’s more variation in brush head and their replacement brush heads are cheaper than those of Philips Sonicare. Oral-B’s brush heads are also larger than Sonicare. Phillips Sonicare brush heads looks similar to general brush heads. This trait leads a lot of people to believe that brushing with Sonicare electric toothbrushes is more comfortable. The small form factor of Sonicare toothbrush heads does make reaching hard-to-reach areas of the mouth easier. I can’t really tell you which toothbrush will be best for you but all I can say is that I’m using an oral b electric toothbrush and enjoying every minute of it. Some might not like them but that’s for you to decide after trying both out. Different people have different needs when it comes to oral health. Kids will not be as comfortable in adult sized brushes and the higher power output could be hazardous for them. People who might have sensitive gums might need toothbrushes that gently caress the gums rather than scrub at higher voltages. There’s even toothbrushes that are designed for people with braces. What I suggest you do if your interested in buying an electric toothbrush is to firstly look at the main problem you have when it comes to oral health. Whether you need something comfortable to grip or if you looking to polish or whiten teeth, you will find a toothbrush for a specific need. Well this is a tricky question and one that is related to how you feel about spending close to 3 figures for a good model. I have recently brought the Oral B 5000 toothbrush from Amazon for $118.00 because I feel I need more options when it comes to cleaning my teeth. I also think the Bluetooth connectivity will help me better understand where I need to improve my brushing. 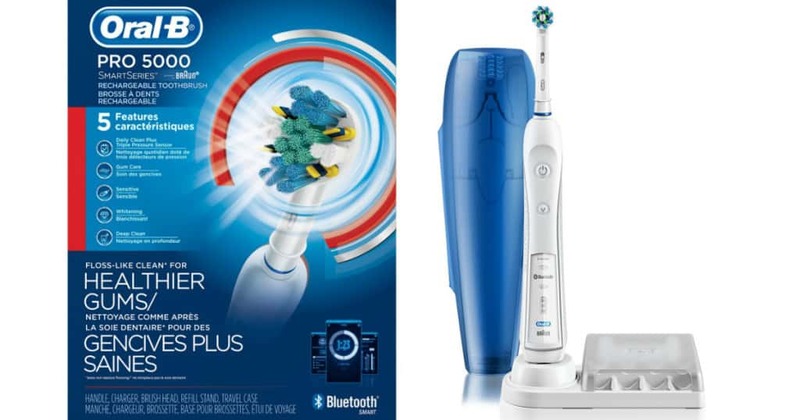 If however you are looking to buy your first electric toothbrush, I recommend you go for an entry level model because you won’t break the bank and at the same time will get a feel for how electric cleaning feels. The Oral-B pro 2 2500 is pretty good and will get the job done. If your like me and have already experienced the feel of an electric toothbrush then I suggest you go for a mid range model that has more features and something that will make you excited about brushing. You can browse a range of different models over at Amazon. You might be looking at between $80 – $150 for a good mid range model. Electric toothbrushes have tremendous Benefits and virtually No Side effects which makes them a safe investment in your oral health. 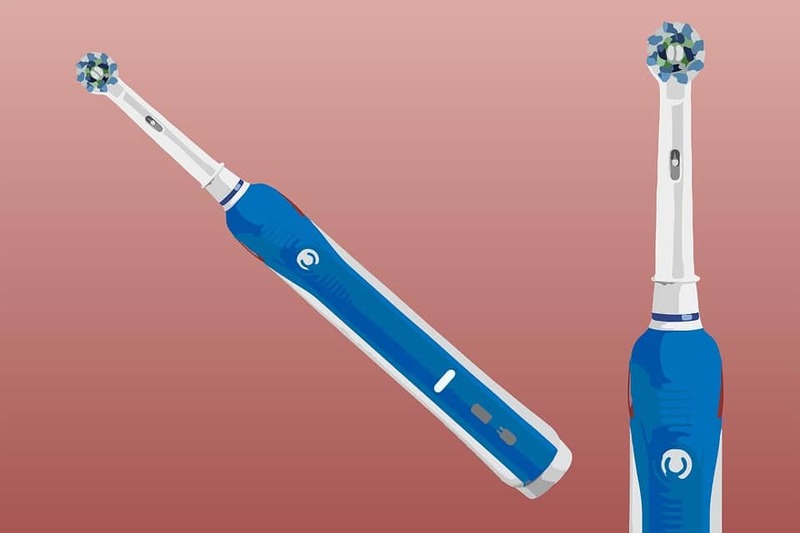 Electric brushes aid us in using proper technique and giving us the ability to constantly improve our oral health through Bluetooth technology. There have been a few people who have had negative effects but they were not to do with the electric brushes themselves but with the person not using them as intended. Remember, electric toothbrushes come ready with technique built in, all you have to do is just gently place the brush on each tooth for 2 seconds and then move on. THAT’S IT! Manual toothbrushes are becoming redundant now and are not needed anymore (in my eyes) unless you intend to use the Bass brushing technique. This is basically using a toothbrush with fewer bristles to get under the gum line to disrupt the bad bacteria and improve the symptoms of gum disease. I sometimes forget how long I brushed and when I’m rushing, I remember how fast i brushed my teeth, definitely lesser than a minute! Taking care of your teeth is more important than it sounds though, once we start going to the dentist and see the bills, it’ll be too late. I’d rather spend $200 on an electric toothbrush than $200 on a dentist I’ll end up going again. Honeslty I have never had an electric toothbrush before and I never knew that it had so many benefits. All I saw was the price. My parents both use electric toothbrushes and swear by them. I currently use a medium bristle toothbrush and I’ve never paid much attention to which brand I buy because I never thought it was so important. I can see that buying an electric toothbrush for my kids will be a great idea – they are 4 and 6 years old and I have been trying to teach them how to brush but it goes in one ear and out the other. The just stick the toothbrush in their mouths and wiggle it around for about 10 seconds. Then I have to brush their teeth afterwards to make sure the job is done properly. Which electrical toothbrushes would you recommend for kids? I’ll try out the entry level Oral-B pro 2 2500 as per your recommendation for myself and my husband. Thanks for all this valuable information. Kids like something that will be fun and exciting so choosing an electric toothbrush that has these features whether it be cartoon based or interactive will be a good choice. There are loads of brushes for children on Amazon. I suggest you sit down with your kids and go through something they like and buy that. That will create an extra layer of excitement and they will hopefully be more willing to brush their teeth properly and more regularly.